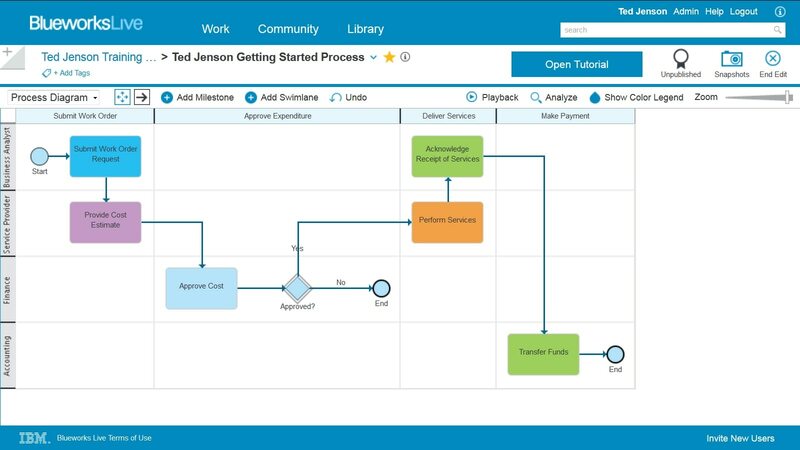 Input each step of your process, reorder the flow by dragging and dropping the boxes and automatically generate a process diagram with one click. Use cloud-based software to model your business processes from anywhere. 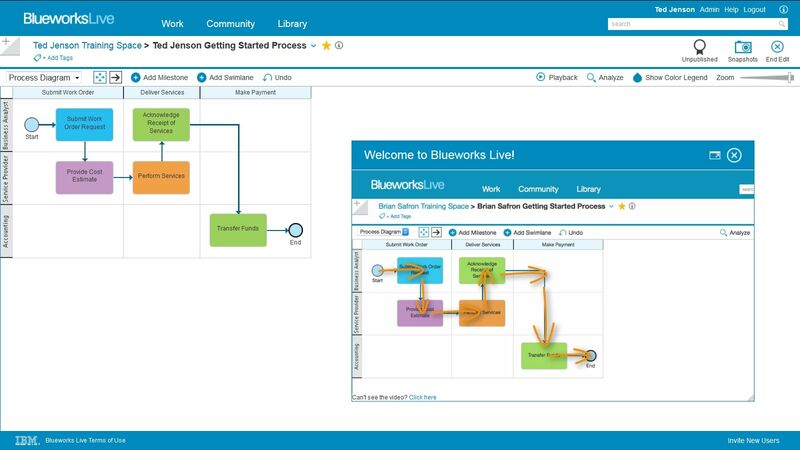 Take advantage of embedded video tutorials to create a simple process model in minutes. 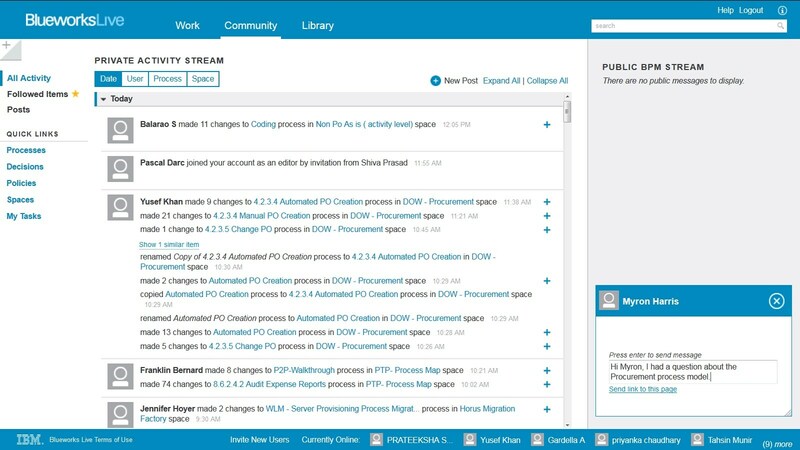 Eliminate version control and consistency issues with better visibility into the evolution of the process, including automated change notifications. 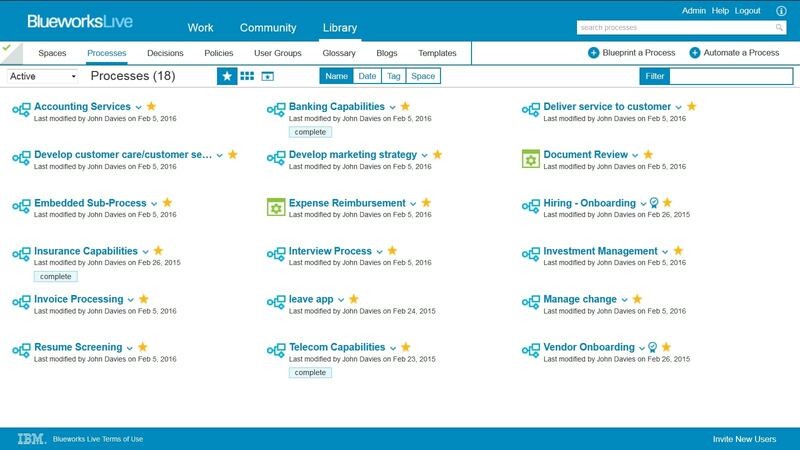 Use a shared team workspace that supports integrated, real-time communication to engage business users, provide opportunities for discovery and ensure process accuracy. Generate BPMN 2.0 layout and documentation automatically without having to be a standards expert. Jumpstart your project by importing, editing and adapting one of the available 200 process model templates. Take control of user access at the account and space levels, and assign permissions by license type, user group and individual user.